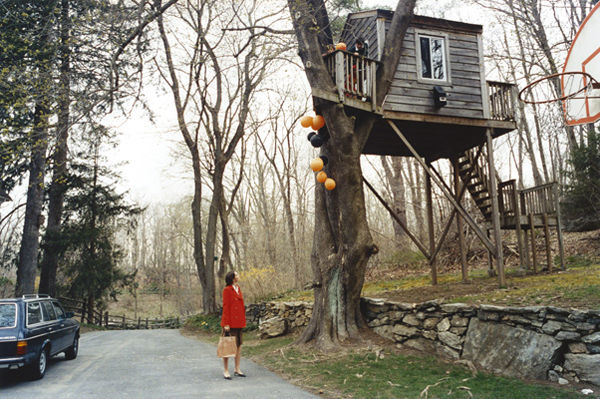 In an advertising signed by the famous photographer Tierney Gearon appears a treehouse. An interesting treehouse that lays on three points: the tree is the main point at which the house is anchored and two little wood pilars give the support to the other side of the house. Unlucky I don’t know where is this treehouse. Pic by Tierney Gearon. All rights reserved.